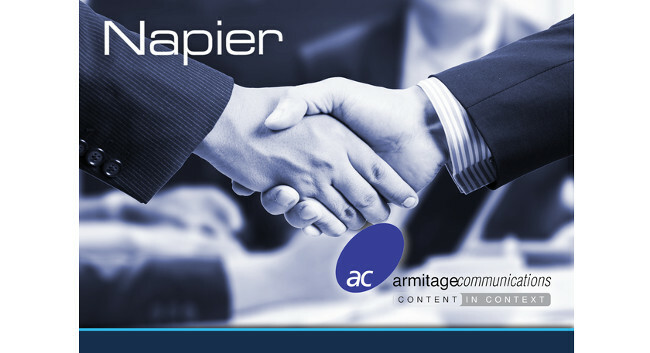 Napier Partnership Limited has merged with Armitage Communications Limited to create a group of three specialised B2B technology agencies comprising Napier, Peter Bush Communications and Armitage Communications. All three companies bring together a portfolio of clients across a range of B2B technologies and industries including semiconductors, industrial automation, software development and communications. Together they provide different services including media relations, content generation, media buying, marketing automation, design, animation, video and translation.